The guided tour is open to the Public! After spending your Thanksgiving Day inside with friends and family (no comment), get outside and join us Friday afternoon for an outing to the DNR’s Jasper-Pulaski Fish & Wildlife Area to see the spectacular annual migration of Sandhill Cranes. We’re excited to be guided by Kim Ehn of the Indiana Audubon Society, who is a frequent and familiar guest at the annual migration. If you’ve never seen the crane migration, it’s truly a great sight to behold! A required Indiana outdoors “bucket list” item for sure. The guided tour will begin at 3:30pm (CST) at the Jasper-Pulaski Fish & Wildlife Area, which is located approximately 50 miles south of Michigan City. You are invited to meet us there at 3:30pm (CST). 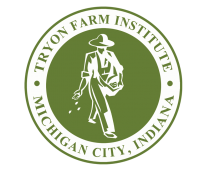 Alternatively you can meet us at Tryon Farm by the Barn (1500 Tryon Road, main entrance) at 2:15pm (CST) where a group of us will gather before heading out. Some carpooling options may be available if you meet us at Tryon Farm. We know RSVP-ing is out of style. Nevertheless, if you know you’re coming or even thinking about it, please let us know! We will provide some hot chocolate and treats at the tour. Email Marty Balogh to RSVP. Jasper-Pulaski is located 50 miles directly south of Michigan City. You are responsible for arranging to get yourself there! If you’re interested in driving as a group or finding carpool partners, meet at Tryon Farm at 2:15pm (CST). Carpooling options are not guaranteed.